Eleni, the owner of Leni’s Modeling Management, a boutique model agency in London had heard about the beneficial effects of REVIV IV drips. 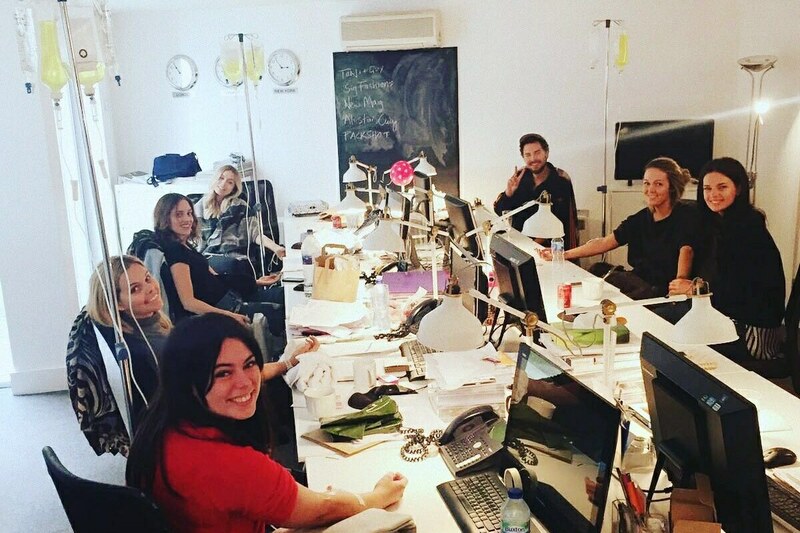 So when she called REVIV London for a group concierge visit to her office, we were thrilled at the opportunity. We treated 8 people on her staff each with Royal Flush, our deluxe IV infusion. We were thrilled to see everyone excited to get replenished and rehydrated the REVIV way. After everyone was hooked up to their IV drips smiles were abound. Some sat back & relaxed and some worked while their drip was being consumed. 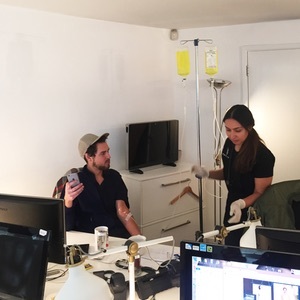 When the concierge call was complete and everyone was REVIVed, we received overwhelmingly positive feedback and in fact some have become REVIV London regulars at our Clinic in Knightsbridge. Thank you so much Leni for making that concierge call to us! REVIV London’s concierge service serves all of Greater London and some of the surrounding counties. Fees start at £150 and fluctuate depending on the time & day of the week and the number of people having IVs. Contact us to schedule your concierge visit.